Debates regarding authorship and intention have raged in literary theory and aesthetics for centuries. But, how do artists know whether their intention has been conveyed to the audience? To my knowledge, no satisfactory method currently exists to evidence this. Thus, the research aim is to create a new, novel method to measure audience response data to evaluate whether an artwork conveys the artists intention. Stage 1 involves a direct, situated interaction between the artist, the audience and the artwork. 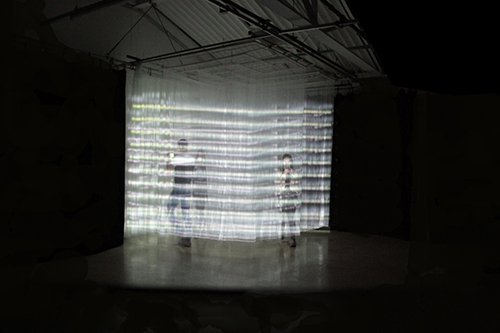 Participatory design techniques (participating, observing, listening) are incorporated into the studio practice to capture and interpret audience responses to formulate a specific artistic intention while iteratively developing artworks that make the audience more aware of their body in the world. 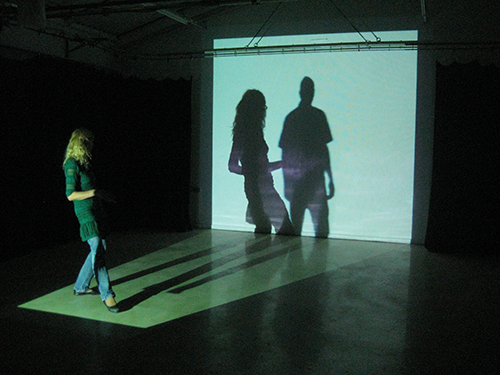 Stage 2 involves conducting Artwork Participation Sessions that utilise participatory design techniques to record and measure audience response data to evaluate whether the artwork conveys the artists intention. This phenomenological approach champions the central role of the audience. The method will allow any creative practitioner concerned with how their artworks are conveyed to their chosen audience to gather audience response data, in real-time, real-world settings, to develop and convey their intentions effectively and successfully. The broader, long-term potential value of this exploration into our embodied, environmentally dependent lived experience is that it will reveal insights into the states of being least explored and understood by our culture. As Arnold Berleant states (Art and Engagement, 1991), ‘Art is one of the powerful elements in human culture, and its evolution has significance not only for its own future but for understanding the larger society as well’.